USA relinquishes control of domain names: what does it mean? Domain names are a highly contentious topic — everyone wants one and there are never enough. But is all that about to change? The USA has maintained a role in handling Internet domain names since the Internet’s creation in 1983. However, on 1 October 2016, the US will hand over the last of its functions to the private, non-profit organisation ICANN (Internet Corporation for Assigned Names and Numbers). ICANN is responsible for coordinating and maintaining the procedures related to the namespaces of the Internet. Most of its work concerns the Domain Name Server (DNS) that converts alphabetic names into numeric addresses. This means that you, the Internet user, can simply type in your favourite URLS like ‘broadbandcloudsolutions.co.uk’ instead of a string of incomprehensible numbers. This allows us to connect with each other easily and makes the Internet a much simpler place to navigate. The transfer of power from the US to ICANN makes sense. The Internet is a global enterprise, so one country should not have a majority stake in its governance. Countries like China and Russia want more of a voice, and through the planned transition, they will get it. By taking charge of domain names and other Internet services, ICANN could be a pioneering model for international governance. Encryption, surveillance, cybersecurity and data ownership all cross borders and require an international dialogue from more than just one government. A ruling organisation controlling these elements could create a more reliable Internet. However, there are fears of the control that other countries may try to exert through ICANN’s governance. China, Russia and Iran famously censor sites such as Wikipedia for their citizens’ ‘own good’. If similar changes were made, it could alter how we use the Internet on a day-to-day basis. The average Internet user is unlikely to notice much of a difference as ICANN has been working alongside the US government for a number of years. However, by increasing their control of the DNS, they will be able to provide new domain names to ease the capacity crunch that we, as a global online society, have been facing. Domain names are increasing in value; some even sell for tens of millions of pounds. 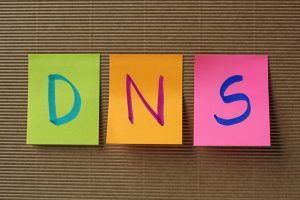 ICANN recently announced new top-level domains to ease this demand, but with the Internet constantly growing, they may have to change the approach to domain names in the future. It will be ICANN’s responsibility to resolve disputes regarding domain names, so this change may help your business if you want a particularly popular address. Though domain names won’t help your keyword search, having a catchy and relevant domain name can give your site the boost it needs to get customers to click-through from the search engine. With ICANN taking over, we will begin to develop a more centralised and reliable Internet that people across the globe can rely on. It is the world wide web after all! If you have any questions about domain names, get in touch with our experts at Broadband Cloud Solutions today.